Dedicated song crafting has always been the cornerstone of The Freeway Revival. A group forged on the road, they continue to use their lyrics and powerful vocal harmonies as a window into the life of a traveling band on the current American landscape. Their refreshing and explosive blend of southern roots rock, funk, mountain music and psychedelic soul translates into a genre-dissolving sound that feels strangely familiar yet remains entirely unique to itself. Turning heads all over the east coast and continually growing a dedicated grassroots fan base, Freeway Revival has shared the stage with artists like Dumpstaphunk, Lukas Nelson, Melvin Seals, Everyone Orchestra, Big Something, Zach Deputy, Keller Williams, Toubab Krewe, Dangermuffin and many other great national and regional artists. After the successful release of their 2016 self-titled EP, The Freeway Revival burst onto the scene in the fall of 2017 with their heavy hitting debut album "Revolution Road", which appeared as #20 on Jambands.com National Radio Charts. Performing live, The Freeway balances organized, well-crafted tunes with a jam ethos that lends a raw and explorative power to the music. The blend of tasteful guitar harmonies, vibrant four-part vocal harmonies, and a unique assortment of organ and piano melodies creates a soundscape that is both musically intricate and soulfully energetic. Rest that on the groove of a solid rhythm section, and you are sure to feel the magnetic force of this band! Each member plays a vital role in making the live experience unforgettable, and the journey is ongoing and exponential as the group allows the livelihood of what they do to shape their sound and experience - thus forming their mantra 'Live the Freeway'. "A well-written, superbly played collection, the album displays the group's distinctive character... Listeners who appreciated Delaney & Bonnie in the '70s -- or who enjoy the Tedeschi Trucks Band today -- will find a similarly eclectic and soulful mindset at work in the music of The Freeway Revival... If Spin Doctors had written less gimmicky tunes with stronger melodies back in the '90s, they might have sounded a bit like The Freeway Revival... Armed with its unique set of assets, The Freeway Revival seems poised for wider recognition." 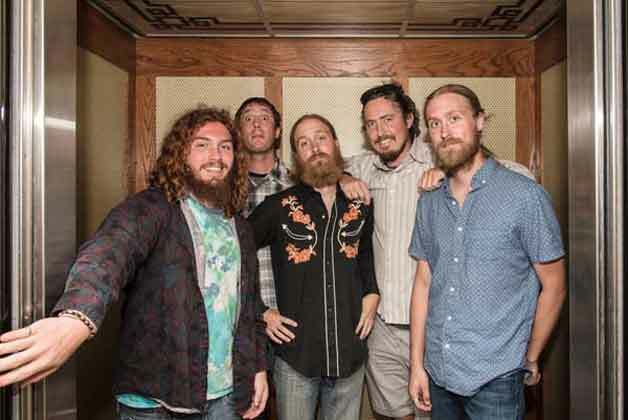 "As one listens to Asheville-based The Freeway Revival.. you're gonna hear a little bit of everything we've grown up with-the Allmans, Garcia-era Dead, Dylan, on up thru the likes of Gov't Mule, the CRB, and Tedeschi-Trucks on today's scene. We don't want to call them "Southern rock," because, although they have Southern roots, this music is much, much more... Their incredible musicianship, collaborative songwriting and spot-on harmony arrangements make this set special." "The Freeway Revival is a five-piece roots rock band from Asheville, NC, that prides itself on powerful lyrics and harmonies often lost in the larger jam scene. Their first full length release, the 11-track "Revolution Road," is a high-energy infusion of ripping blues licks, funky keyboard trills, smooth, welcoming vocals, and poignant stories perfectly accented by unique and impressive instrumentation... "Sense of Wonder" and "Angel in Rymes" echo early String Cheese in a way that is fresh and innovative, but also familiar and exciting to hear again."